There’s a new show starting tomorrow based on the children’s book seriesBunnicula, and it’s a labor of love for producer/director Jessica Borutski. She represents the best of the new guard of female animators, and clearly an inspiring professional in the industry, for having her own show at Warner Brothers TV at only 32! 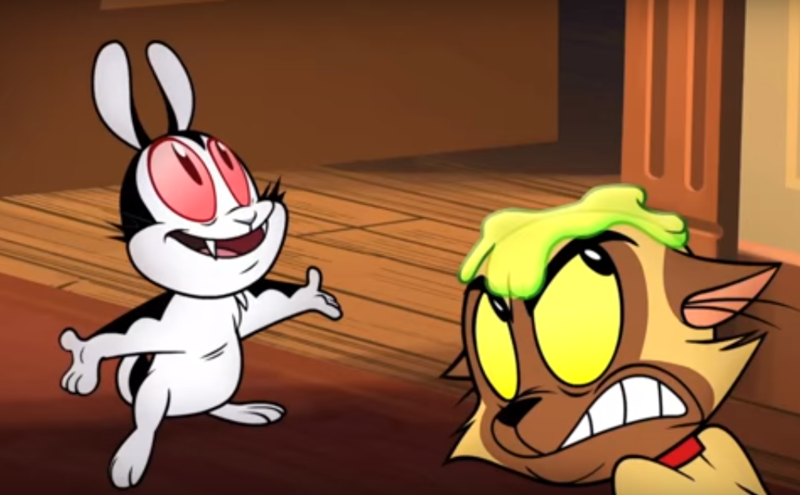 Bunnicula may be intentionally goofy, and primarily targeted to young children, but it strives to have the classic multi-generational layering we’ve come to expect from good Warner Bros cartoons. Leslie Combemale of Animation Scoop spoke to Jessica about what to expect in the first season, insights into character design, and how she sees being a role model for girls starting a career in animation.